GAS FREE for 30 Seconds: Are You Fast Enough? EduPristine>Blog>GAS – FREE for 30 Seconds: Are You Fast Enough? 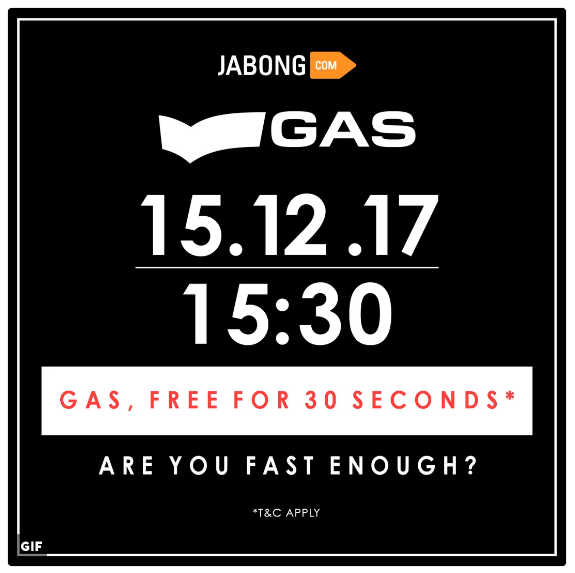 GAS FREE for 30 Seconds: Are You fast enough?This is what one of the Online Fashion Biggies – ‘Jabong’ promoted its recent campaign that took place online on 15 December, 3:30 PM. It revolves around the theme of giving away Gas brand apparels at just Rs.1. All the people who think they could be the ones to reach ‘The Hot seat’ in KBKP should have tried their skill at this competition. This carefully thought-out strategy surely got a lot of attention from online-shoppers. But- the end results looked fake and obviously elicited many knee-jerk reactions. 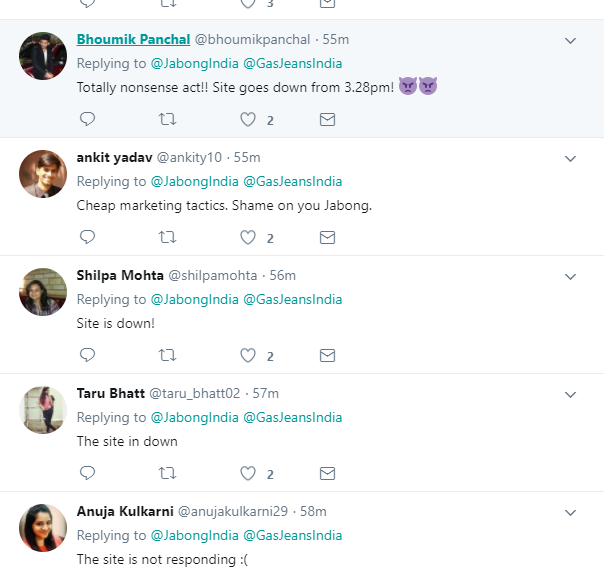 Many people who flocked to the website were left disappointed as both the Jabong Website and app crashed at the very last moment. The first step for the participants is to add any of the Gas brand items in the offer section to their cart which enables them to get the offer item for a discounted price which is Rs.1. Wait one more step is pending… You forgot to log in. What if I was never a Jabong customer? No problem you could easily signup and create your account under one minute. Now you are all set to win the Free good provided you are fast enough in 30 sec. We, young and enthusiastic digital marketing folks at EduPristine are closely looking at the well thought out campaign, secretly hoping to be the lucky person to steal the deal. But that did not happen not just for us but to almost all the online shoppers around. Jabong is an online site which generates its revenue completely from its site and the app. Fellow digital marketing folks, only you would be aware about the proportionality between the revenue and the traffic. Lets keep it simple for others, high ranking on google search results in high traffic which converts to revenue. So why do digital marketing people do campaigns? 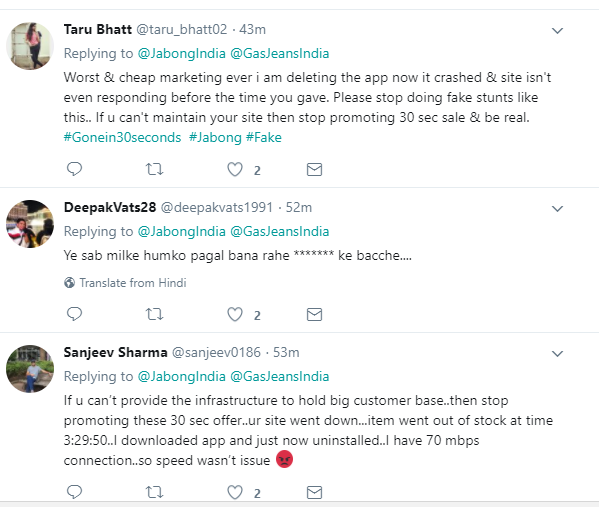 Yeah, you got it right, to increase the traffic to the site and Jabong seems to have the same motive. From the above graph, there seems to be huge dip in the traffic for them. In Aug they have a seen a 43Million traffic. Compared to the current 24.5Million, that is a huge number to achieve and the way forward is through tremendous effort and a marvelous campaign. And digital marketing professionals would agree that this is one of those good campaigns which was executed very poorly. The campaign surely created great excitement among people to drive them to the site and pumped up the online footprints and won over many offline customers. But, don’t you think those extra clicks on your site for a very short term is enough to bring your brand-reputation down? Comment or share this article, if you feel so. Previous Why Learning Business Analytics is a MUST for MBAs?